Georg “Murr” Schott served in the Spanish Civil War with J 88 of the Condor Legion. 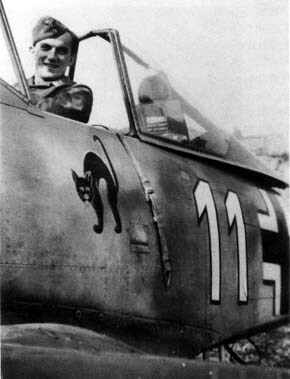 Feldwebel Schott gained three victories flying with 2./ J 88. On his return from Spain, Schott was posted to LG 2. Feldwebel Schott was assigned to 1./LG 2. However, he claimed his first victories of World War 2 while serving with 2./LG 2, when he claimed two RAF Hurricane fighters shot down on 19 May 1940. Oberfeldwebel Schott was to receive confirmation for only one of these victories. He claimed a total of four confirmed victories during the French campaign. Schott added eight further victories during the Battle of Britain. On 6 September 1940, he shot down a Spitfire fighter for his ninth victory and a day later claimed two further victories over the same type (10-11).  In April 1942, Schott was transferred to IV./JG 1, based at Döberitz in Germany to assist with its formation. He was assigned to 10./JG 1. On 1 April 1943, 10./JG 1 was redesignated 1./JG 1. Leutnant Schott was appointed Staffelkapitän of 1./JG 1 on 1 June 1943, replacing Oberleutnant Hans Munz who had been shot down and killed on 21 May 1943 in aerial combat with USAAF four-engine bombers. Oblt. "Murr" Schott`s Fw 190 A-6 (W.Nr. 550 476) "White 11" in which Schott was shot down on 27 September 1943. In the cockpit is his 1stWart. On 22 June, Schott shot down a USAAF B-17 four-engine for his 17th victory. On 19 August 1943, Schott claimed his 20th, and last, victory when he shot down B-17. 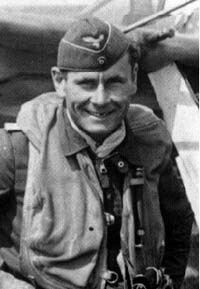 On 27 September 1943, Oberleutnant Schott was shot down during aerial combat with Allied bombers over the North Sea. He successfully baled out of his stricken Fw 190 A-6 (W.Nr. 550 476) “White 11”, landing in the sea. He managed to climb into his dinghy. However, an intensive search for him proved futile and the Schott’s remains and his dinghy were washed ashore on a beach of the island of Sylt on 11 October 1943. “Murr” Schott was credited with 20 victories. He recorded 17 of his victories over the Western front and three during Spainish Civil War. Included in his victory total are three four-engine bombers.